The beautiful Royal Botanic Gardens…this park, slightly to the west of The Rocks, offers a tranquil outdoors and green setting while capturing glimpses of the beauty of Sydney metropolis. From lush foliage, grand trees and shady palms this stunning park offers cool shade for spring and summer and a natural but sharp crispness for autumn and winter. Sydney, NSW The Rocks…offers a contemporary mood with a twist of traditional. From its iconic landmarks of The Sydney Harbour Bridge or the Opera House to the east and to it’s historic architecture of warm sandstone backdrops including the cultural Museum Of Contemporary Arts, the urban couple will find the perfect environment for beautiful but edgy wedding images. The Rocks and your wedding would work well in colour with Mike’s photojournalist style but even better in black and white. 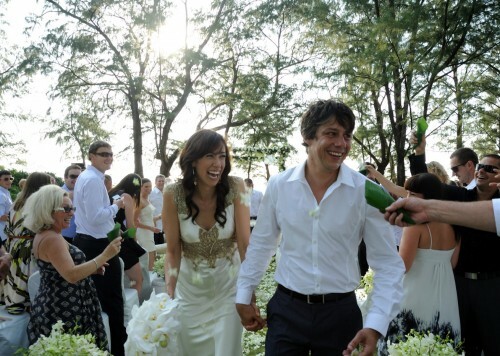 Parisa and George wanted an intimate wedding with an angle and they felt the best way to create that was to book a magical island getaway - Hamilton Island offered the perfect romantic escape. As Parisa’s sister had used Mike Locker for her wedding 4-years previously, there was no doubt which photographer they wanted so Mike flew up to capture a day of tropical romance, love and commitment. Exploring the Island in golf buggies added to the fun and enjoying a backdrop of perfect blue skies, amazing palm trees and gorgeous sandy beaches. Mike decided to create a fashion mood by shooting into the light – some he then switched to black and white capturing candid moments of the playful and fun couple in the soft afternoon sunlight. The evening party oozed fantastic traditions beautifully symbolizing the merging of these two beautiful cultures, Lebanese and Persian, creating more happy and interesting photographic opportunities. The group shots were full of laughter and love too ensuring stunning memories forever! Combine the buzz of live event photography with the polished look of the studio. Mike Locker Photography offer a unique record of your wedding reception. Mike Locker Photography records your wedding reception by installing a small studio in the corner of the room. Guests can come in groups of their choosing to have a fun, relaxed but professional candid portraits created. Props, lighting and professional composition produce a superior image. This service also acts as an icebreaker and fun part of your occasion, in its own right. When Bec and james asked me to photograph their wedding in Phuket Thailand it was a dream shoot. The wedding was located near the beach in a perfect setting with gorgeous light. James wiped a few tears as the radiant bride walked down the isle with her proud dad. Bec and James wanted fun relaxed shots on the beach. The bridal party was in top form kicking off shoes, laughing and enjoying the day. We finished off with a picture perfect sunset. When Monica and Pete started to plan their wedding they knew they wanted it to be just like them, stylish and fun - the right photographer to capture the right mood was a must. 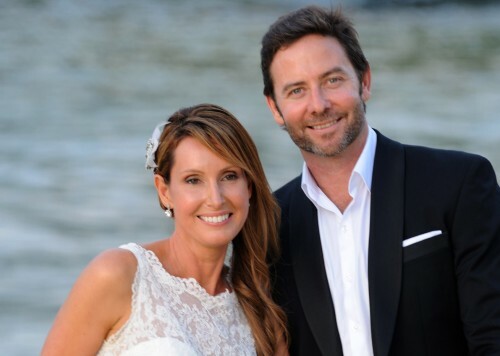 After extensive research they decided on Mike Locker who suggested the striking backdrop of the historical Rocks and Sydney harbor to compliment Monica and Pete’s urban and romantic edge. From there the happy couple and their party moved Neilson Park in the Eastern Suburbs for their reception. What is already a stunning ocean backdrop was beautifully enhanced with Monica’s magical styling – no expense was spared to create a romantic and sophisticated atmosphere to a fun but cool wedding that oozed love. There was no shortage of unique and creative shots to take and Mike took full advantage of every situation! As the sun started to set Mike walked the bride and groom down to the beach to capture the magic hour. The beautiful vista and soft light provided a third “look” for this perfect day and joyful couple. Burford Priory (United Kingdom) is a country house that stands on the site of a 13th-century Augustinian hospital. In the 1580s an Elizabethan house was built incorporating remnants of the priory hospital. Burford is a wonderful location for a Wedding. 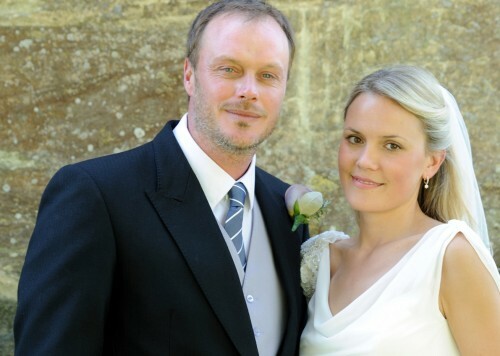 Burford Church is very pretty, though if you are looking for a Civil Ceremony, then the Bay Tree Hotel is a great choice. The village is set on a steep hill, and is ideal for some great wedding photographs. There is also a lovely stone bridge over the river at the bottom of the village, which again is very beautiful. Prithi and liam chose their ceremony and reception in a beautiful private house in Darling Point. With a stunning backdrop of Rushcutters bay. After a lovely ceremony we moved on to Mckell Park Darling Point for a location shoot. 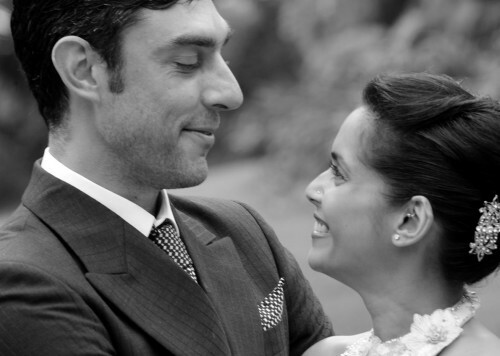 The very stunning Prithi and dapper Liam had an hour of relaxed, contemporary photos in the beautiful surrounds. Prithi’s infectious smile beamed as a happy groom looked on. When Brooke walked up the isle to be handed a glass of champagne by her groom so they could toast each other it was a culmination of months of planning. It was also a sweet relief for the couple who have spent much of their engagement apart while Tim served time as a Special Forces Commando army officer in Afghanistan. 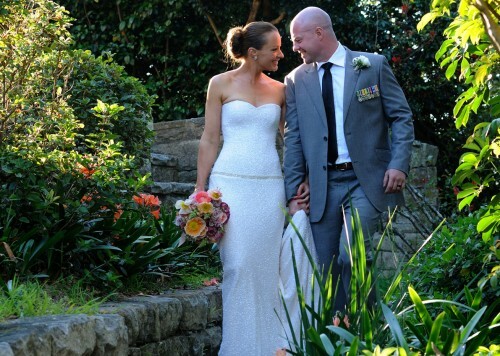 With the sun shining over their ceremony in the gardens of Nielsen Park, Sydney, the couple added more special touches to the day, such as having their rings passed through the hands of guests to be blessed with their support, and asking their mums to be witnesses. After a romantic ceremony it was photography on the beach. 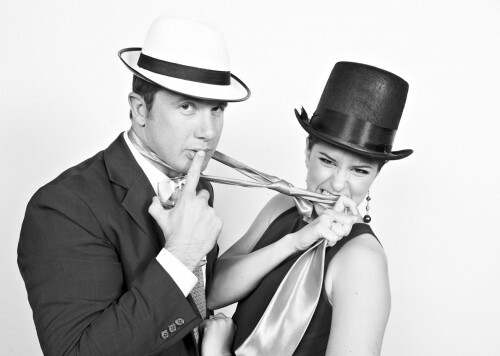 Tim and Brooke also requested a photo booth with retro props and the guests loved it!